WASHINGTON – Saying the University of Texas Law School gains from “racial diversity in its classrooms,” the Justice Department asked the Supreme Court yesterday to strike down a lower court ruling that would end race as a factor in admissions. The high court has offered little hope in recent years for those who want to maintain affirmative action programs aimed at reversing the effects of past discrimination. Last year, the court imposed limits on affirmative action in federal contracts. The department filed a 21-page brief in support of the state of Texas’ appeal of a March ruling by a three-judge panel of the 5th U.S. Circuit Court of Appeals in New Orleans. The panel ruled that UT wrongly discriminated against four white applicants by allowing lower test-score standards for blacks and Hispanics seeking admission. It also found that the school cannot consider race in admission decisions. But the Justice Department brief says the panel’s ruling would cause UT to ignore the state’s history of racial inequality. 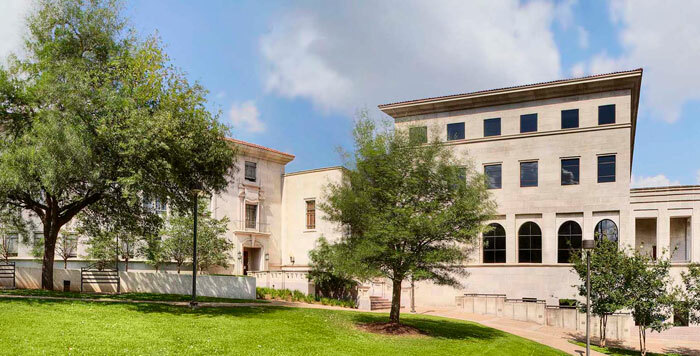 “The legitimacy of the law school’s concern for diversity in this case is underscored by the history of educational discrimination in Texas,” the department wrote. “The vestiges of that history have kept many black and Mexican-American students separated from white students for most of their educated lives. The case stems from a lawsuit filed in 1994 by white applicants Cheryl Hopwood, David Rogers, Douglas Carvell and Kenneth Elliot, who said they had stronger academic credentials than many of the minorities admitted to the law school in 1992. The case, Hopwood vs. Texas, could have a far-reaching effect on schools and universities nationwide. Many have already halted the use of race as a factor in admitting students and disbursing financial aid. Several Texas civil-rights advocates said the Justice Department’s intervention in the case should increase the likelihood that the Supreme Court will hear the issue. Civil-rights advocates have strongly criticized statements made by Texas Attorney General Dan Morales the day after he filed the appeal. Morales said he believes that quotas and other measures designed to ensure diversification are no longer justifiable. UT’s lawyers have argued that an admission plan in effect in 1992 was aimed at correcting years of discrimination in Texas public education. They said discrimination has caused lingering effects at the UT law school, such as a reputation in the minority community as a white school, underrepresentation of minorities in the student body, and a perception that the campus is a hostile environment for minorities. The appeals court said racial considerations might be warranted to correct current problems clearly stemming from past discrimination by a specific government body, such as a school. But the judges said UT officials had not shown that there are current problems directly connected to past discrimination by the law school or that the procedures under fire were narrowly designed to address just those problems.